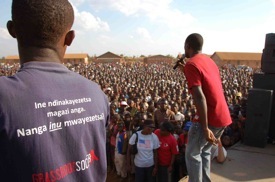 Over 4,000 attended the Sensitization event on the 25th of October in Lilongwe, Malawi. 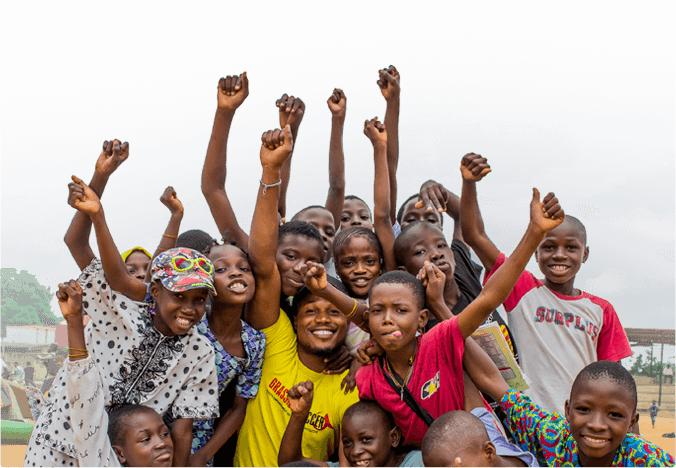 After weeks of preparations, the weekend set to begin at noon on Friday, October 23rd, with a half-day VCT, and end at 4 pm on Sunday, October 25th, with a community-wide sensitization event, was finally here. Charged with the ambitious task of completing two separate testing events in two distinctly different areas of Lilongwe, Malawi in just 52 hours, we were unsure what a realistic goal for the events would be, but decided that testing 300 people, between the two, was reasonable. Having tested 115 people at a similar half-day VCT tournament three weeks earlier, we hoped to test 100 people during Friday’s tournament. By incorporating soccer and HIV education into a positive environment around testing, however, we were able to provide counseling and testing services for 215 people, surpassing our goal while spending only $235 for the entire event! The cost-effectiveness of our model, which capitalizes on the power of soccer to encourage people to test, is inspiring. With one success behind us, we prepared for Sunday’s sensitization event, unsure of what to expect from an event we had never run before. The sensitization event was even less predictable, and with church attendance a common Sunday activity in Lilongwe, we wondered if we would be able to draw a significant crowd. On our side, however, was the presence of Mafunyeta, one of Malawi’s most popular musicians. Early in the afternoon, with over a thousand people in the audience, we anticipated testing 200 people. But as the golden Malawian sun beat relentlessly on our backs, and the day wore on, suddenly, people began streaming in by the hundreds. Soon, the crowd had tripled, and over 4000 people gathered for the music, performances, and HIV education presented by GRS and Baylor’s Tingathe and PMTCT Outreach Programs. The sea of people before us was a powerful sight and at the end of the day, the news that 610 people had tested during the event was overwhelming. Bringing the total number of people tested to almost three times our initial predictions, the GRS team felt proud of and inspired by the community’s collective action in the face of an epidemic that claims the lives of more than 60,000 Malawians every year.